Apple might be preparing to release three new iPad Pros next year along with a “revolutionary” change in the lineup in 2018. According to a report by MacRumours, noted analyst Ming-Chi Kuo has predicted that the company will launch a 10.5-inch iPad Pro, alongside a 12.9-inch iPad Pro 2 and a “low cost” 9.7-inch iPad Pro in 2017. Further, he also believes that the two larger models might employ the A10X processor, while the 9.7-inch model might use the A9X chipset, which will be exclusively supplied by TSMC. 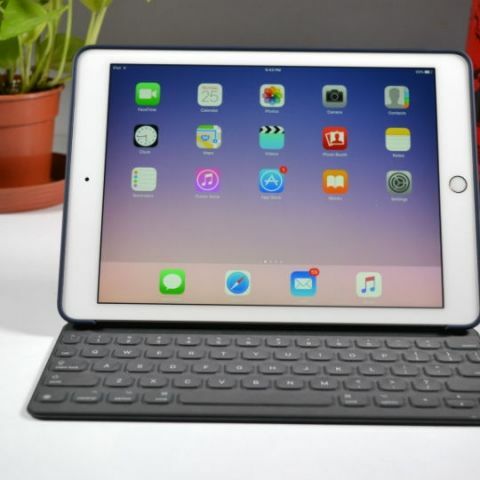 For 2018 though, Kuo has predicted a “revolutionary” change for the iPad lineup.” He has predicted that not only will Apple change the design of the iPad, but the company may also use a flexible AMOLED display for the device. Apple has previously been tipped to be working on OLED displays as well as micro-LED technology at its facility in Taiwan. The company must be hoping that this technology will give it an edge over the numerous Android as well as Windows powered devices that are being launched. A few months back, Kuo had also predicted that the upcoming iPhone 7 will not have many new features to excite buyer, which would lead to a decline in sales. However, Apple CEO Tim Cook, is more optimistic about the new iPhones and has said that the new device will have features that “you just don’t even know you need.” We might not have to wait long though as rumours suggest that Apple might unveil its new iPhone next month.